Each year I look forward to December, mostly because of my dojo’s holiday seminar. The mat is always full of New York Aikikai members, both old and new, as well as so many visitors who come to celebrate aikido and friendship. I am happy to be home at this time surrounded by people enjoying themselves. It’s always a good weekend for me. As you may know, there are some recent changes in the USAF Board of Directors. Many board members dedicated several years of their time and put in a lot of hard work for the USAF. We are thankful for their service and all they did. But it is also important to be open to change and allow others to have a chance to dedicate them selves. As of November, the board has a new Vice President (Andy Demko), Chairman (Joe Nemeth), Treasurer (Paul Forhan) and Secretary (Larry Bieri). Looking forward, 2014 will be a very busy year for me. I will travel to dojos all over the world celebrating the 50th anniversary of my arrival in NY. 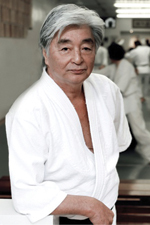 I hope you will join me on the mat, as I continue to do what I came here to do half a century ago – spread aikido. Happy holidays to all of you.